This is not a survival sandbox game. 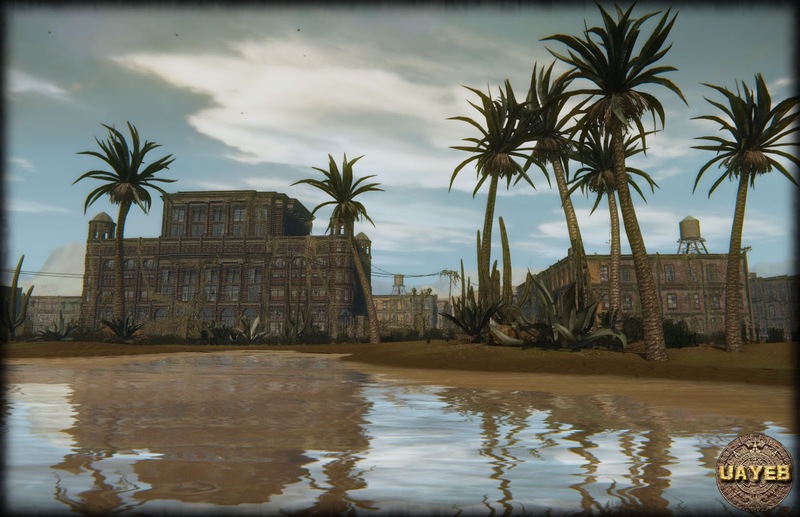 The survival parts are used to add variety and difficulty to the adventure. Nothing in UAYEB will be shown with a big arrow. You will have to think by yourself to know where to go, and to solve puzzles you'll be helped by Joanna's clues that she will put somewhere in the world. Drink, eat, sleep, cold and hot places, stamina, heal, batteries, weapons and ammunition. Avoid deadly traps, stay alive in underwater caves, jump on moving Mayan platforms, don't touch swords traps that arise from ground. 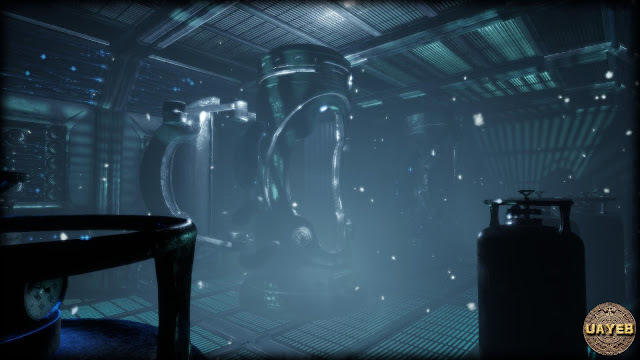 You will need to find clues to be able to reach the artifacts. To find the Mayans artifacts you will encounter moving platforms, unstable parts or planks, swords traps, balls with spikes falling, other deadly mechanisms, sulfur sprays that will project you in the air and few more surprises! 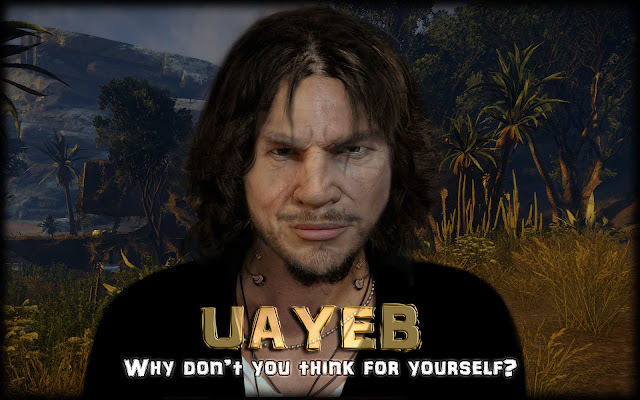 Like the real world, the time in Uayeb will turn around 24 hours. 1 hour in real life is like around 2h30 in game. You can sleep at any time (if you have a bed), to rest and pass the time faster. "Hello my friend, I hope that you remember me. I'm Joanna, and you are in my house right now. It is normal if you don't remember everything from the past. You have been cryogenized for 100 years. That means that we are in the year 2119. The cold has probably affected your brain a bit, and also your voice. People who have been cryogenized, have electronic devices implemented in their bodies. Some of them are used for measuring your health, thirst, hunger, stamina level, and to display them on the computer you've got on my desk. Let me tell you whats happened, and why you are waking up now: Like the Maya had predicted, a big change occured in 2012, from that period the world economy has fallen down. A terrible riot broke out in 2017, the population turned against politicians who abused the people. The confrontation lasted for years and has probably destroyed all of humanity. If you don't remember, I'm a scientist and archaeologist who studied the Mayan civilization. We decided to cryogenize as many people as we could to survive the revolution. I woke up a week ago. I went outside to investigate and see what remains. I have a computer that can recharge itself with solar energy, like most of my equipment, my house is also using solar energy. So I can record messages and send them to your computer. Be aware that your computer has a battery. The battery level is displayed on the top right of your screen, close to the time. When the battery level is down, you won't be able to use the computer anymore. Which means that you won't have access to your inventory either. So you have to find a photovoltaic panel to be able to recharge the battery. Find it quickly before its too late! Be very careful outside. During the day, it can get really hot and you'll become thirsty quickly. During the night its also very dark and cold. You'll have to eat to prevent starvation. I have some things I need to do now, but feel free to search my house. You'll will find a flashlight, a gun and ammunition. Once you find these items, you can meet me in the garden near the gate."